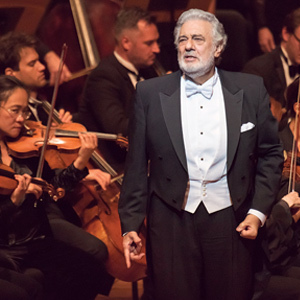 Opera legend Plácido Domingo, the mighty LA Opera Chorus and Orchestra, and a superstar cast join forces at Musco Center for this concert version of one of Verdi’s grandest creations! With rich orchestrations, thundering choruses and an endless flow of rapturous melodies, Don Carlo is an enthralling tale of morality and mortality. Starring renowned tenor Ramón Vargas in the title role, Domingo as his heroic friend Rodrigo, and Ana Maria Martínez as Elisabeth de Valois.